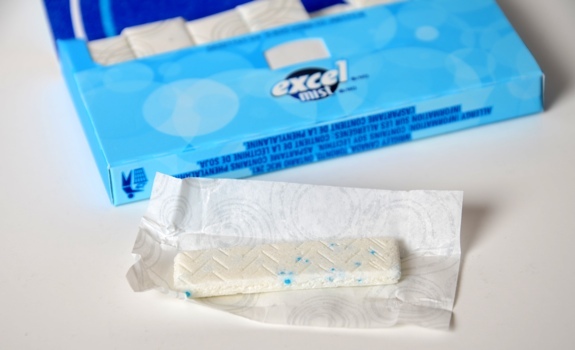 As a kid, Excel’s Chiclets-style pieces of hard-coated chewing gum appealed to me, partially because they had flavour that lasted longer than seven chews – a Chiclets-specific issue I was reminded of every October 31 as I found two-piece fun-sized boxes in my Halloween candy. Excel had the familiar buck-tooth/pillow form of Chiclets, but came blessed with the minty punch of a gum designed to be felt, not just tasted. But the packaging. Oh how I hated the packaging. The blister packs would crackle, crinkle, rattle and pop, which was frustrating in movie theatres and downright dangerous if you wanted to sneak a piece in a gum-free classroom. 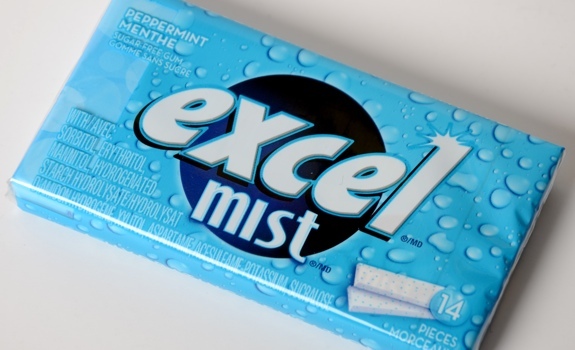 These new Excel Mist sticks have solved my packaging frustration, which means I’m now more likely to pick up a pack of Excel at a convenience store counter. But don’t think they’re the same thing as regular Excel pellets. 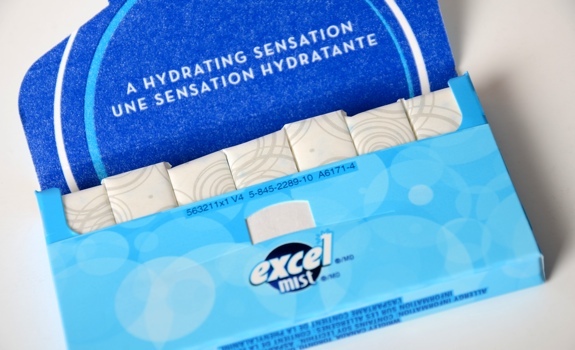 Note the little beads of extra flavour in Excel Mist peppermint. Some Wikipedia Digging: According to Wikipedia, Excel is known as Eclipse in the U.S. Yet, strangely, Excel Mist is apparently the same thing as Orbit Mist in the States, Orbit being a totally different line of gum than Eclipse. International chewing gum branding is decidedly complex. The Look: Like lots of other packs of stick-shaped chewing gum. No crackling after the plastic is removed, and the cardboard is easy to recycle. One minor point, though: the sticks of gum weren’t adequately secured in one of the packages I tested, so they would slide around and fall out when I opened the pack. The Taste: Soft, gentle peppermint quickly gives way to a wave of cooling mint. 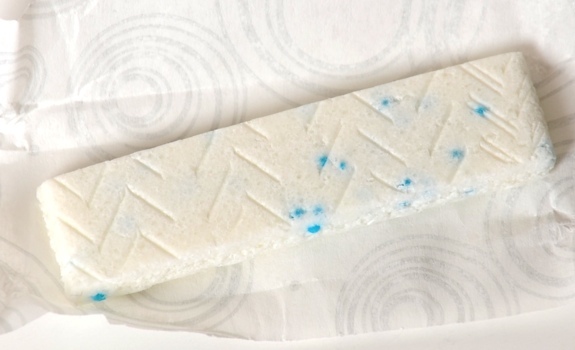 It’s a simple, sweet, clean peppermint, a little bit like toothpaste and a little bit like a candy cane. Intensity is level somewhere between Trident peppermint (low) and 5 Cobalt (high). I don’t know what a “hydrating sensation” is supposed to taste like, but it didn’t dry out my mouth. Win? Excel Mist has fairly standard packaging for stick gum. Cost: $1.89 for a 14-piece pack at Save-On Foods in Edmonton. Availability: Canada. Cornershops, big-box stores and everything in between. Nutrition? : Per 1 piece (1.9 grams grams): 3 calories. Vegetarian Friendly? : Nope. There’s gelatin in there. The verdict: Another nice peppermint choice on the gum rack. I’ll happily buy it again. Does it make a dry mouth moist?